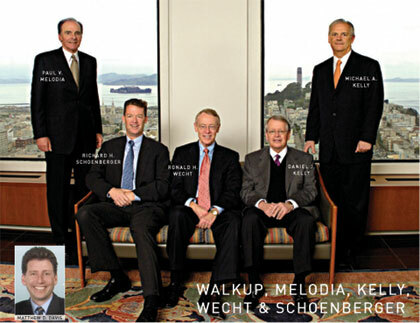 For the third straight year, five of the partners at Walkup, Melodia, Kelly & Schoenberger have been selected by their peers as Super Lawyers. In addition, both Paul Melodia and Michael Kelly have received special acknowledgement for their skills and achievements: Paul has been honored as one of the Northern California Top 10 Super Lawyers, and for the second consecutive year, Mike has been ranked by his peers among the Top 100 attorneys in Northern California. Additionally, Dan Kelly who serves as Of Counsel has again been honored. The preeminent personal injury firm in Northern California, the name “Walkup” is synonymous with excellence. For more than 50 years, whether catastrophic injuries or death have been caused by product failure, medical malpractice, drug or device malfunction, vehicle accident or workplace injury, Walkup lawyers remain tough, thorough, creative and ethical. In trial, arbitration or mediation, our lawyers consistently rate superior levels of client satisfaction.